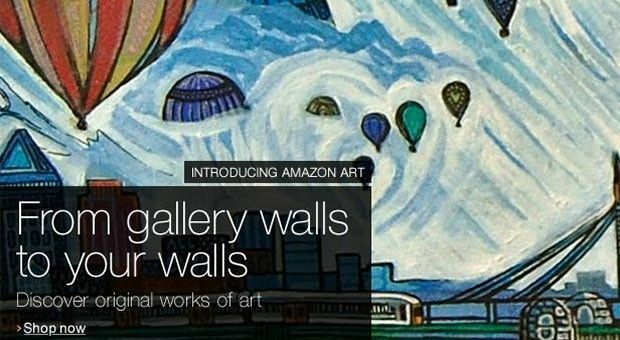 Amazon India has come up with something unique and attractive for all the art lovers. Yes, you heard it right! The e-commerce giant has launched ‘Fine Arts’ store on its segment for art lovers which is seen as the first step to provide young artists a platform to showcase their talent and help customers select from a wide range of products. The art store boasts of a variety of pieces of art from original paintings to mixed media art, prints of original artworks not only from well-known but also from new artists. As per Amazon, the store hosts well-known and celebrated artists like Akbar Padamsee, Satish Chauhan, Paritosh Sen, Tejinder Kanda, Mahesh Padia,A Ramachandran,S H Raza,Narendra Pal Singh, Manoj Kanchangal. The “Fine Arts” store having selective range of work starting from Rs.3000 to Rs.10 lakhs. It is a very unique idea to bring the store on Amazon.in in order to have the aesthetic art collection from famous as well as upcoming artists from across the country under one roof at a single platform. This Fine Arts store on Amazon is one of the biggest collections and combinations of original work and limited edition artwork available in India. This store has everything for the customer and they can easily have the complete information of all the artwork as well as artists of such creation so they can easily select as per their choice. To ensure their customers a delightful experience, all these art galleries provide their work with valid certificate to the art lovers and moreover, the galleries itself take initiative by packing all purchase of customers and delivering them to their concerned location without any damage with authenticity. At Amazon, they have started as Fine Arts by Amazon in which they have an entire range of art work under their artists’ name and some anonymous paintings as well. You can even shop from galleries and also from category.They also have featured collection and subject-based paintings like A Rural Romance (Glimpse of Indian village, Serene Stroke (Painting and Prints of Lord Buddha) Artful Abstract etc. If you are looking for art than you can surely visit Amazon.in to come across the huge variety of artwork by some famous and next generation artists. You can go for paintings, prints, drawings, sketches and many more only with Amazon India. They have created a perfect combination of historic and periodic art with contemporary and modern art. Here you can find an aesthetic piece for your office and home. It reflects your taste and if you think it to be a gifting option for someone you love, the painting proves to be very successful in changing the mood of any person and you started feel nostalgic about it. So, just decorate your home or office wall with the amazing paintings and sketches and show the world your choice of art. The paintings range around Rs.20,000 to Rs.500000 and are available in various shapes like rectangle, square and oval. The customers’ reviews are very good so far and they are trying very hard to achieve more and more and fulfil the demands of the customers.